Remember the days when you would find a leather pouch inside the box of your brand new BlackBerry smartphone? I do and I miss it somewhat. But at the very least you can still purchase an OEM leather pouch for your beloved BlackBerry smartphone. So, no doubt there would be one available for the BlackBerry Classic. It actually would have been nice to see one included with the BlackBerry Classic, seeing as it's a nodd to the legacy line of devices. Alas, there isn't but we'll take a quick look at it in case you want to pick one up. The design is a familiar one. Genuine leather, the BlackBerry logo on the front, BlackBerry name embossed on the back, sleep magnet, signature red thread. 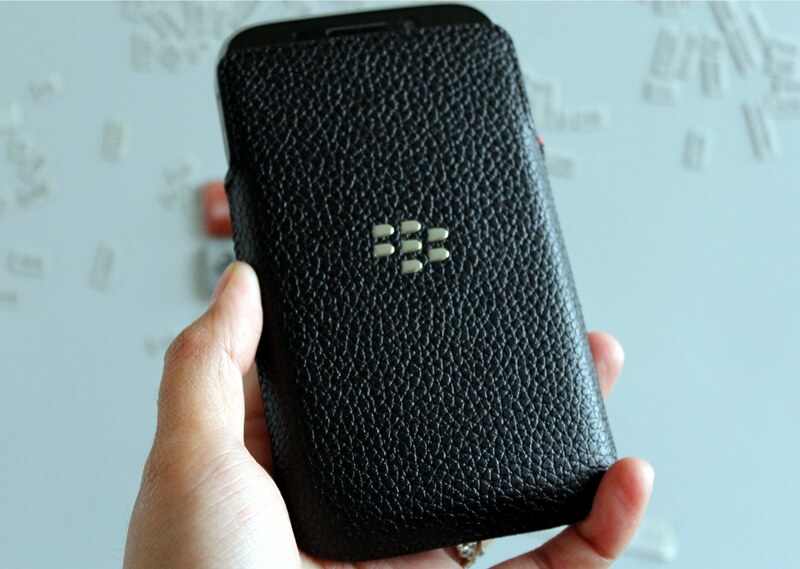 All the usual features you would find on an OEM Leather pouch from BlackBerry. The phone slips in and out of the pouch easily but it is just tight enough that it won't slip out by itself. You can slip the phone inside both ways except it's slightly tighter when you insert the Classic facing back the way. Of course, it will loosen over time, with constant use. On the front, it doesn't go all the way to the top, this allows you to see the LED notification light, so you can see at a glance if you have a message waiting. I usually find the quality of these pouches good enough to last. There will eventually be some wear along the edges but not bad enough that you'd want to stop using it. I tend to go for the leather pouch for the smaller devices such as the Classic or the Q10 or when I want to carry my BlackBerry smartphone around naked but still want some protection. There really isn't anything new here. I have always been a fan of the OEM leather pouch and would actually like to get one for my BlackBerry Passport. If you're looking to keep your Classic naked, the leather pouch is a good way to still give you protection. There's a screen protector in the box too, which is a nice addition.